In Conversation With Ryan Bijan, Director of MYSTERY OF THE BATMAN! | Warped Factor - Words in the Key of Geek. In Conversation With Ryan Bijan, Director of MYSTERY OF THE BATMAN! Matthew Kresal uncovers the mystery. Batman has been entertaining audiences for more than seventy-five years now, across various media. While many of the Caped Crusader's fans may know about his first screen appearance in a 1943 film serial, what if I told you that he might have appeared on screen even earlier than that? What if that first appearance had been lost in the mists of time, destined to be unseen...until now? 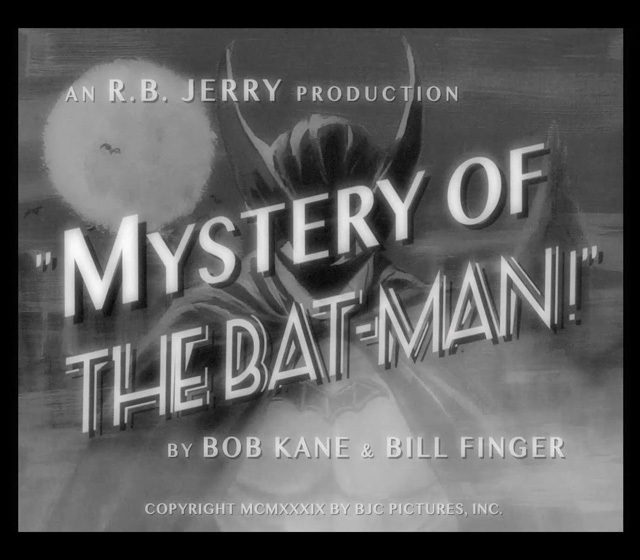 That is premise behind Mystery Of The Batman!, which despite its presentation isn't a lost film. There's a number of Easter eggs that quickly give that away, from the university the film historian introducing it hails from to some of the crediting. Don't let that disappoint you though. What Mystery Of The Batman! is instead is a well made pastiche of the film serials of the era. 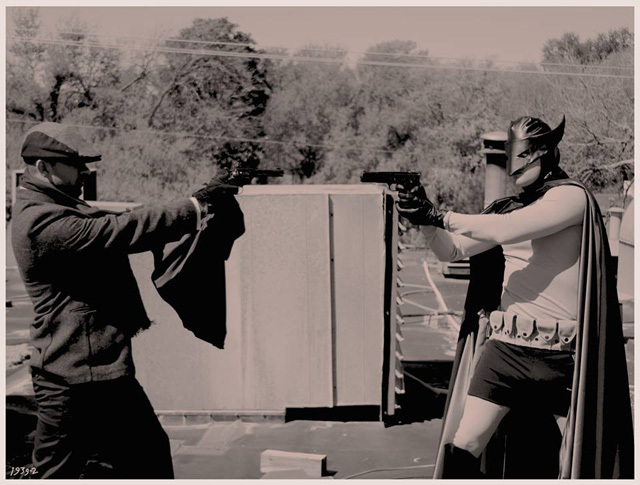 Proving the resourcefulness of intrepid fan filmmakers, this production uses familiar styles and modern equipment to tell an adaptation of The Case of the Chemical Syndicate, the first ever Batman story from 1939. The results are well worth a watch for any fan of the Dark Knight and especially those with an interest in his comic book origins. Ryan Bijan, writer and director of Mystery Of The Batman!, took a few minutes recently to answer some questions about the film. Warped Factor: An obvious question to start with - Why the 1930s film serial format and Batman's earliest days? A straight adaptation of Batman’s first appearance (“The Case of the Chemical Syndicate” from DETECTIVE COMICS #27) had never been done on film, and I thought it would be fun to shoot it, as much as we could, as if it were made in the period in which it was written. Warped Factor: What are the challenges of trying to do a pastiche of that format today, given that Mystery of The Batman! 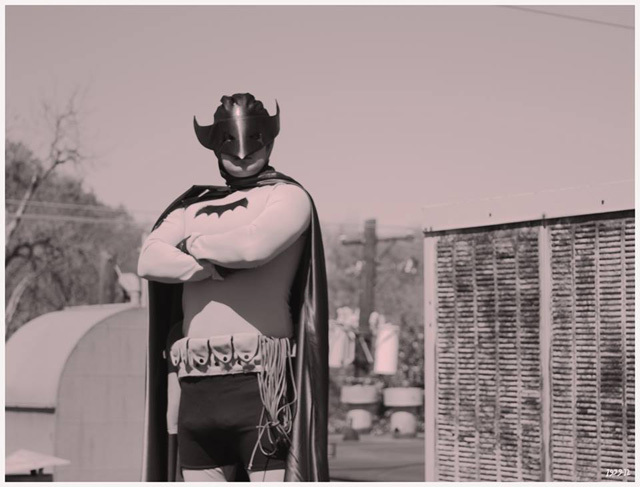 is both a period piece and a superhero tale? Bijan: Since it’s all out of pocket, obviously it’s challenging to keep every tiny detail completely true to the era. Every once in a while an anachronistic prop will creep in to frame. Sometimes intentionally, sometimes not. I’m a huge fan of the classic Universal Monster films and Warner gangster pictures. Mystery Of The Batman was my way of doing an experimental, modern-day take on those in the form of something modern audiences might go out of their way to watch, instead of some esoteric/art-house short. Warped Factor: Really a question of presentation but why present it as a “lost” film? Has that had an effect on people's reactions to it? Bijan: Psychologically, it’s easier to pique peoples interests that way and add a little genuine mystery to the whole thing, instead of saying, “watch my fan film!” Like with The Blair Witch Project, it’s all part of the fun! That said, we're completely upfront about what the film is in the YouTube description, and end credits. Skeptics who think we're maliciously trying to trick people just aren’t looking in plain sight. Warped Factor: Can we hope to see a second episode in the not too distant future? Bijan: This was originally meant to be a one and done thing, but, thankfully, the response to chapter 1 has been generally positive. So, unless I get a cease and desist, hopefully we’ll be seeing golden age Bats return to your computer/phone screens sooner rather than later. You can watch the film on Youtube and find out more information at the Facebook page for the film.